*QC rough and trims and make punch lists for the crews. *QC rough and trims to verify that all work is complete and ready for inspection. *Sign and approve pay vouchers. *Some hot checks and service calls may be required, but will not be required on a daily basis. *Verify that jobs are started and completed on time, scheduling done by others. *Verify that houses are ready for the crews the day before our scheduled date. *Answer calls and questions from builder superintendents. *Have own transportation that is reliable and insured. TAKE HOME VEHICLE PROGRAM FOR ROUGH CREWS WITH 3 OR MORE ELECTRICIANS AVAILABLE!!!!!!!! We have immediate openings for the entire valley. Pay depending on experience. 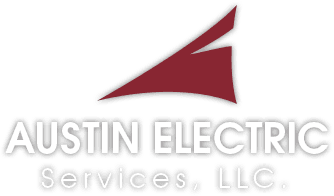 Austin Electric Services provides a safe, fun and rewarding working environment. We always try to promote from within providing room for growth and increased pay. PLEASE CALL RODOLFO @ 602.620.1259 Se Habla Espanol!! Please send resume via email or apply in person to the address below.